Motet. Composed by Georg Philipp Telemann (1681-1767). Arranged by Paul Horn. 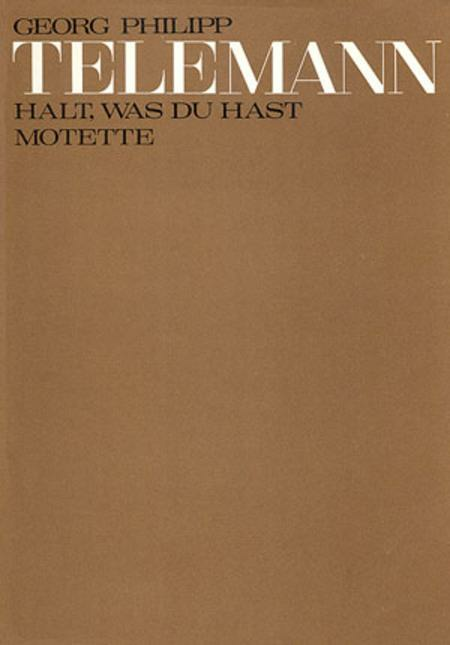 This edition: urtext. Stuttgart Urtext Edition: Telemann-Archiv. 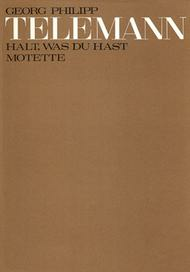 German title: Halt, was du hast. Sacred, Motets; Stuttgart Urtext editions; Occasions: Mourning, Death; Use during church year: End of the church year. Full Score. TVWV 8:9. 24 pages. Duration 7 minutes. Carus Verlag #CV 39.112/00. Published by Carus Verlag (CA.3911200).